Johannes Nuenning is VP of the Deutsche Telekom incubator, targeting employees who want to realize their idea, and become entrepreneurs: yes, en-trepreneur, and not necessarily in-trapreneur! 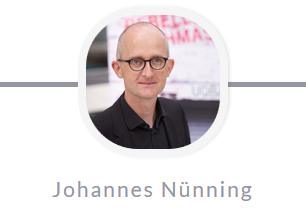 Johannes acts as business angel for corporate entrepreneurs, developing entrepreneurship, and creativity mindsets within this large corporation. He kindly takes us through the mission, and the organization of this ambitious accelerator. UQBATE was founded by Johannes in 2011 and since 2015 is part of the Innovation department of Deutsche Telekom, at corporate level, and embraced by Claudia Nemat, member of Management, Technology and Innovation board: she believes that “rebels matter because monocultures crack under pressure”. Claudia hired Johannes to set-up, and manage UQBATE on her behalf as member of her team “Telekom Open Spaces”. The program is focused on the project development, no management overhead. UQBATE provides freedom in the first place. The framework is here to empower Deutsche Telekom people, helps them find the team, with internal and external teammates. Various people can come and contribute, like former entrepreneurs; other contributors like coders, and designers turn to be more difficult to find internally. UQBATE empowers people to find people, or do it yourself: “by starting to do it yourself, you’ll increase process speed; we encourage team to do crappy stuff, and it works”. It reminds me of the word quirky as they say at Google Creative Lab. As UQBATE targets entrepreneurs, it skipped the request for a business unit sponsoring of the entrepreneurial idea. The hand-over to business unit is by experience very hard to manage: UQBATE decided to skip this interface, and focuses on “choosing people who want to go from A to Z on their passion project”. It’s also a way not to be influenced by the corporate model, and “keep openness for all ideas”. “Telekom people naturally come up with telecom ideas, linked to the corporate knowledge, it’s a pattern we need to reshape, ideas need to evolve”. Excubation (creating a startup out of the company based on the corporate entrepreneur idea) doesn’t involve predefined equity stakes for Deutsche Telekom: entrepreneurs hold 100% of the shares, and Telekom can become an investor later, if it makes sense to cooperate. One example of this is eParkomat, a car parking platform (without owning a single parking lot). It leverages Telekom technologies, data, and was funded by Volkswagen and Deutsche Telekom KraKow, one year after it was founded, as announced at Geneva car show. 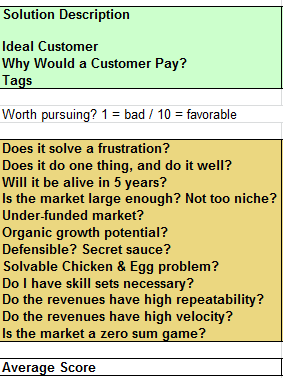 The initial design phase includes random / serendipity maturation of the idea, participation to meet-ups or events, boaling down the idea, learning to pitch it in one sentence, and application for acceleration scholarship, including an idea evaluation template (below). Then comes the Scholarship stage: “people come to the incubator for the incubator, they are dedicated 100% for 3 months time via a job-visiting; at the end of it, they can continue or go back; they have to convince Telekom or external investors to support them, and carry on, typically as a side project to their bread-and-butter-job, for the time being”. The rythm is intense: they learn and practice lean startup, take part in a bootcamp, present to weekly reviews with scholar teams, benefit from individual coaching every 2 weeks, attend lectures on business case, growth hacking, and so on,… Telekom people, and external are invited to lectures meet-ups: networking is key. 6-9 teams are hosted concurrently per batch, and 2 batches are set-up each year. 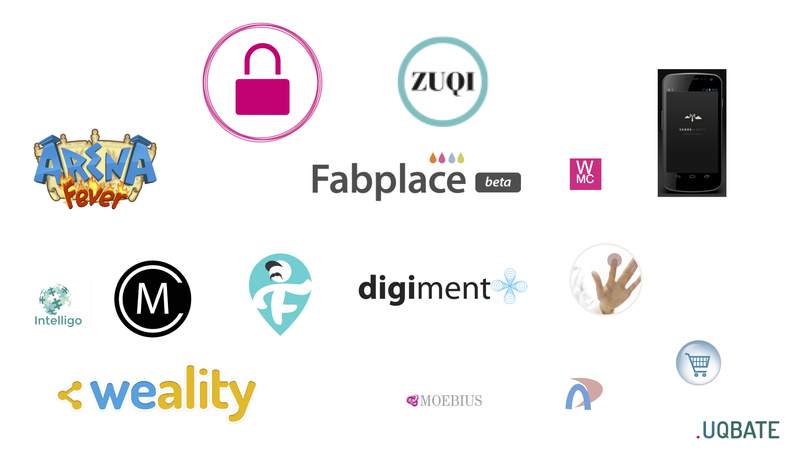 Currently UQBATE is working on the design of this next stage: allocating 100% to employees to build their own start-up, with a return-to-company ticket as a Plan B; and, creating a startup ecosystem of friends, mixing a corporate accelerator of startups (like Hub Raum) with corporate entrepreneurs. UQBATE has developed, and shared online, simple but effective tools to guide the entepreneurs: application form, job visiting form, business model canvas, idea development guide, idea evaluation template, sample first mailing template, market research tool. Their projects bring potential suppliers, partners, customers to live: they have 3 business impacts. In this context, it was meaningful to build UQBATE as an open platform, and start its venture outside. eParkomat is an examplary stories beacuse they have financial, and build trust; indeework has completed 2 contracts with Telekom; Pferdeapp, an IOT service for horse owners, took only 3 months to complete MVP and Prototype, and manage to close potential investors: speed and effectiveness is what rules their 2 cofounders. In term of lessons learned, this scholarship is in his third batch. It provides “an unfair advantage for corporate entrepreneurs compared to startups: marginal cost of both experiments and experience is zero, and as in this sense time equals money, it is powerful; it’s frugal innovation: we just provide limited budget (up to 5,000 €), and they start with nothing but their passion and expertise; it comes down to the essential: you need to do just what you have to do, by yourself; beyond that, the true impact is the people that are set free”. Nicolas Bry is Orange Startups Studio COO, an agile entity within Orange Innovation, to incubate internal and external start-ups. International innovation executive, his job is to set up innovation units for new business, in the digital industry. International speaker, entrepreneurs coach, innovation teacher, and ECC freelance consultant, follow him at @nicobry, and catch a glimpse at his articles on RapidInnovation.fr.